On Saturday the 17th of May we went on a day trip to the Saltees. The Saltee Islands, St. George’s Channel consist of the Great and Little Saltee and are situated approximately 5 kilometres off the coast of Kilmore Quay Co.Wexford. 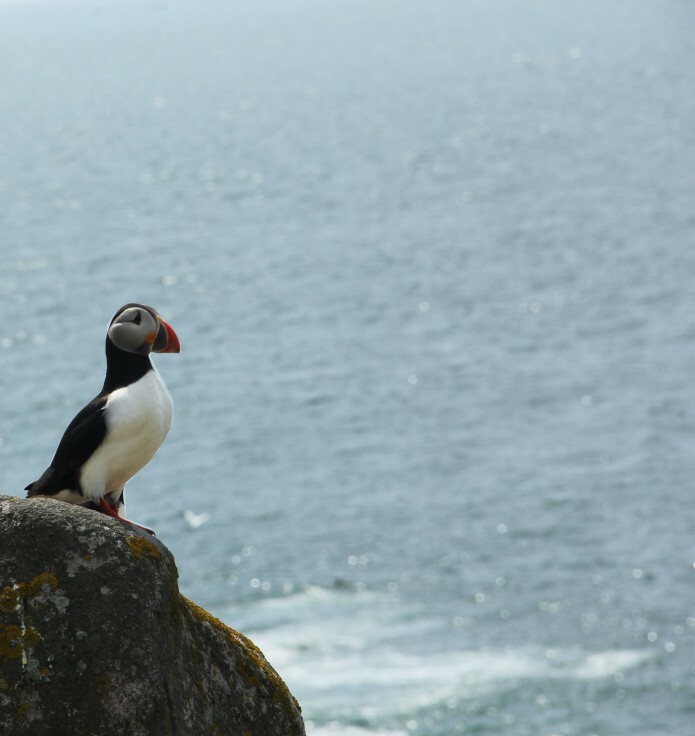 Known as the most famous bird sanctuary in Ireland this popular spot is a haven for birdwatchers and keen photographers. The sun was gloriously beaming down on us as we set sail from Kilmore Quay at 11.00am. The fabulous sunshine put us all in a fantastic mood as we embarked on our trip. The excitement and anticipation of the beautiful sights we would see and capture was electric. Knowing we had to board the ferry back home again at 4.00pm made us all determined not to miss a shot! The Saltees are among the ancient islands of Europe, based on Pre-Cambrian bedrock dates these islands between 600 and 2000 million years old. On our trip we also learned that in 1798 an island cave became a brief hiding place for two leaders of the Rebellion named John Henry Colclough and Bagenal Harvey. These guys took refuge in “a cave on the Saltee Islands from whence they planned to escape to republican France. They were betrayed, arrested and brought to Wexford town. There they were hanged on the bridge on 28 June 1798. Folklore has it that soldier’s saw soapy water coming from a cave where both men were washing which led to their capture”. Permission to explore the islands is not needed, however if the flag is flying at full mast this means the family who own the estate are in residence and expect their privacy be respected. Our trip cost us €25 each. A small price to pay for such an amazing day.